We so excited to introduce another awesome fonts bundle by our friends at Pixelo: The Artsy Design Bundle. This bundle contains a massive collection of artsy design goodies that will boost up your design to the next level and save hours of your time. 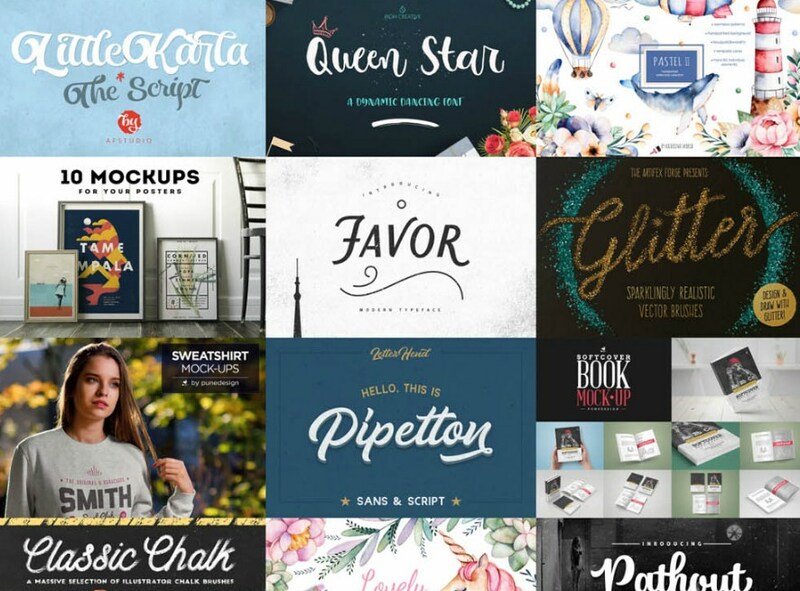 You’ll get 17 beautiful fonts varying from script, hand-drawn, and display. Some fonts have a bunch of alternative characters and styles which make total 47 individual fonts included in this bundle. There’s also 563 graphic files included in this package, ranging from illustrations, patterns, and mock-ups. Create an artsy design in no time with the illustrations and patterns, or showcase your design professionally with the mock-ups. This is an overview of all files included in this bundle. Check out The Artsy Design Bundle to see more detail previews and features.